Note: While I received several products for purposes of reviews, the rest of the items were paid for out of pocket to provide you guys with some healthy kid approved snacks your children will love. All thoughts, opinions and ratings are truly my own. Happy snacking! School is nearly out for the summer and now is the perfect time to start stockpiling healthy kid approved snacks your children will actually enjoy. But with so many options, what's a parent to do? 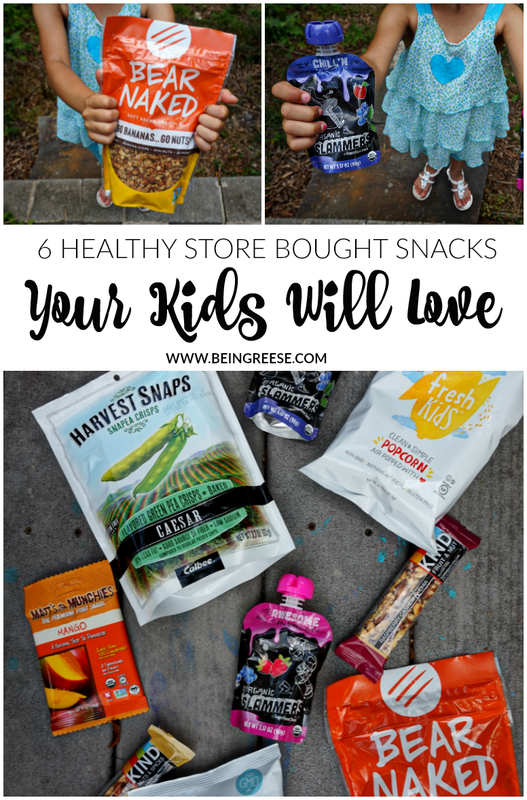 If you're short on time, but want to make sure that your children are still getting the nutrients that they require, here are 6 healthy kid approved snacks to keep your kiddos happy and healthy this summer! Topping the list is our absolute favorite-- Organic Slammers Superfood Snack (yes, even us adults like to enjoy kiddie snacks from time to time). These powerful pouches are packed with fruit and are high in antioxidants. They also contain no added sugar and nothing artificial, making it the perfect snack for your little ones. 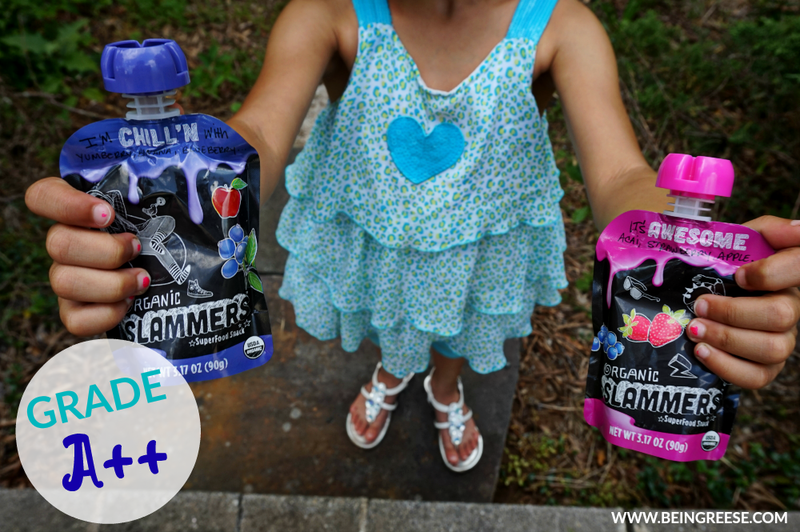 Where to buy: Organic Slammers Superfood Snacks can be purchased at most Target, Publix, HEB, Safeway and Ralph's stores throughout the U.S. View their website to find additional stores where they may be sold. 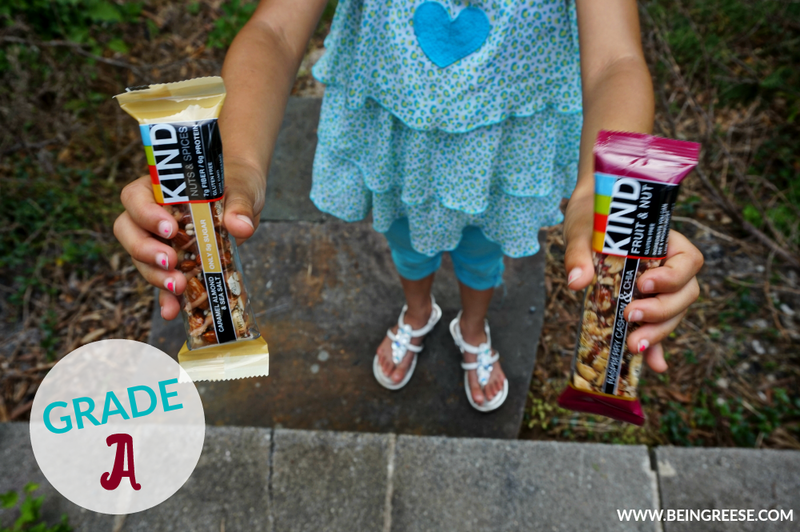 Kind Bars are both picky eater and mom approved. Plus they're pretty darn healthy. Which basically means they're an A in my book. These bars are chock-full of supergrains and are an excellent source of fiber. As a plus they're low on fat and sugar. Where to buy: Kind Bars can be purchased at most chain and local grocery stores. You can also order boxes online. 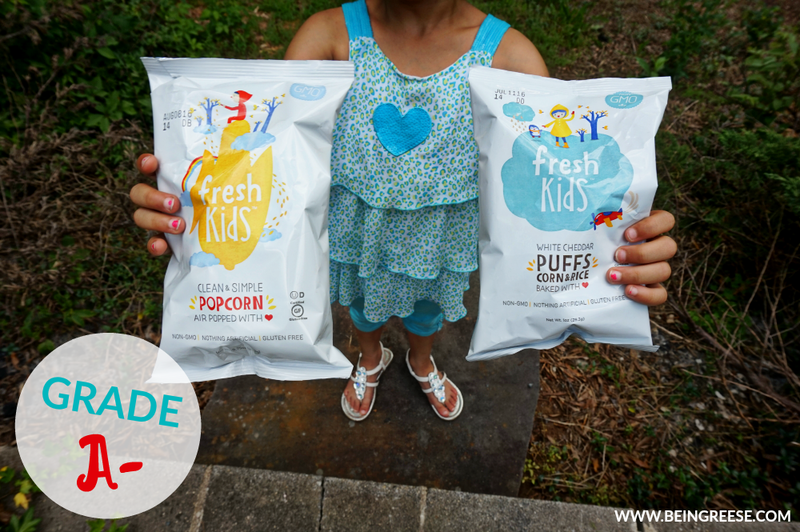 Unlike the other snacks listed, Fresh Kids is a monthly subscription bases service, which personally, I find to be even more fun. Because who doesn't love coming home to a box full of goodies a few times a month? Little J clearly does! For the purposes of this post, Little J tried out the Fresh Kids White Cheddar Popcorn, and of course, as her helper, I felt obligated to try a few bags bites myself. We both LOVED it. The White Cheddar Popcorn is puffed and baked with love, and of course, gluten free and non-GMO. Basically every mother's dream. Where to buy: Fresh Kids snacks can be purchased online for a monthly fee. Snack Happy boxes are shipped every 15th of the month, so you can always expect to have some healthy goodies on hand. If you've ever spent any time in the produce section of any large grocery store, odds are you've seen Harvest Snaps at some point. And it you haven't tried them yet, now is the time to do so. 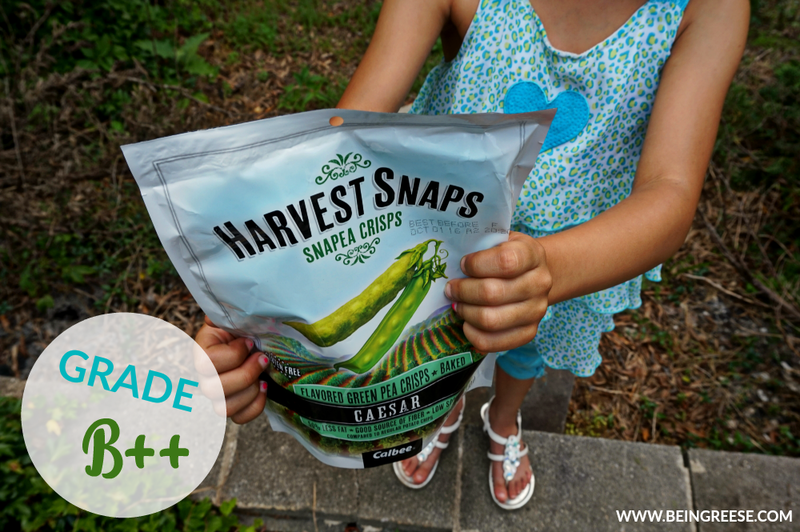 Harvest Snaps are so deliciously healthy it's almost not believable. Harvest Snaps are made with 70% real green peas. They're low in fat and high in protein and fiber. Where to buy: Harvest Snaps are available at most major grocery stores throughout the U.S.
Uncomplicated and delicious, Bear Naked Granola is as versatile as it is tasty. You can eat a handful or two by itself, or mix it into your kiddos yogurt or oatmeal. Since Little J is a lover of breakfast foods, this is one of her favorite oatmeal toppings. BONUS: If you're dealing with an extremely picky eater, fear not, you can customize your own Bear Naked Granola. That in itself is worthy of a A +, but my kiddo is a tough critic (sorry guys, you're an A in my book)! 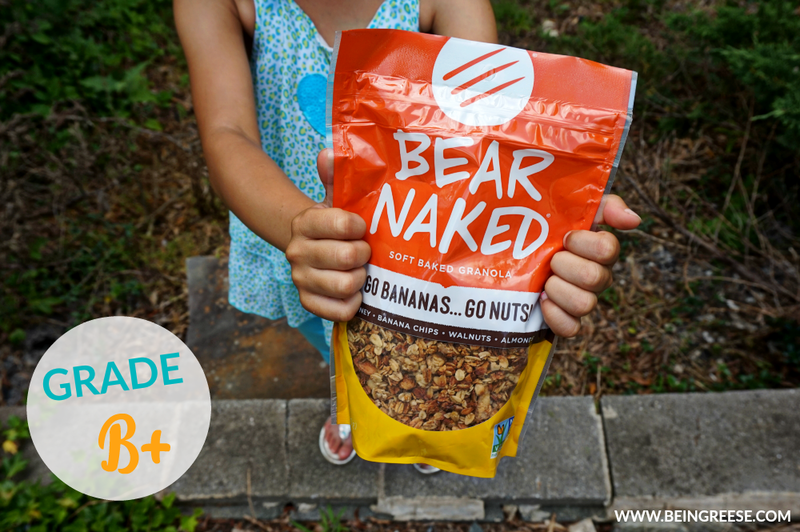 Where to buy: Bear Naked Granola can be purchased at most chain and local grocery stores. You can also order it online. 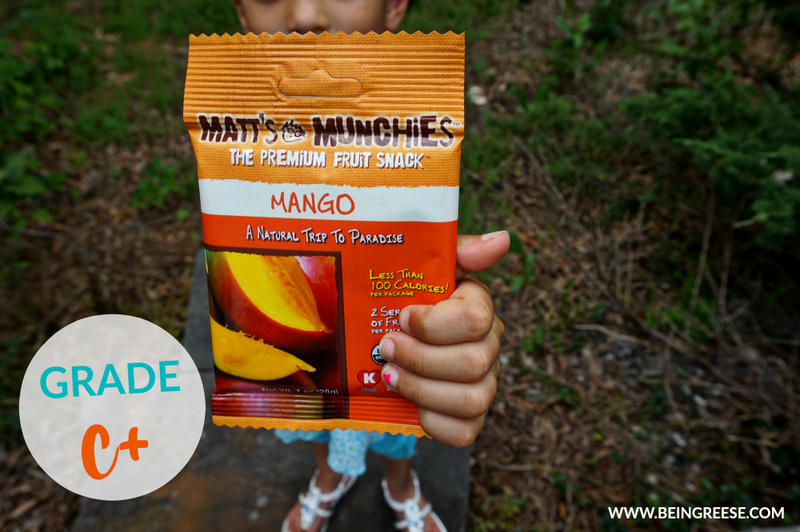 A bit new to the scene, Matt's Munchies premium fruit snacks that are made with pure, wholesome ingredients. Matt's Munchies all contain less than 100 calories per serving, and are perfect for snacking on the go! Where to buy: Matt's Munchies are sold in healthy food stores across the U.S. To find one near you, visit their website and enter your zipcode. You can also purchase Matt's Munchies directly online. These all look like great options. We need to do more healthy snacks around here. Thanks for giving me some ideas! Great collection of snacks. I am going to get a few of these for our upcoming camping trip. Yes there are healthy snacks at the store. Homemade is best, but you don't always have the time. LOVE those snap peas....and so does my grandson!! I love all those snacks- I bet the kids would too! Great package! But I appreciate the honest feedback on the products. I can't wait to try some of these with Jack. I know he will love them!